Dr. Kevin Murphy led an industry workshop and facilities tour earlier this month for Windells Academy. As part of the Academy students curriculum, teachers take the students on &ldquo;industry workshops&rdquo; to learn about businesses that are related to the snow sports industry. Industry trips this year have included visits to Nike, K2, Bonfire, Atmosphere and Mervin providing students with an inside look at the action sports industry. Students, who are taking media courses, also have the chance to learn from and work with Windells media staff of videographers, photographers and editors. On a trip to Southern California in May, Windells got a private tour of USC&rsquo;s School of Cinematic Arts. Sports Medicine Oregon are the team physicians for Portland&rsquo;s Major League Soccer team The Portland Timbers. Dr. Murphy conducted a Q &amp; A with the students about injuries common to their sports of snowboarding, skateboarding and skiing. He explained that injuries such as shoulder separations and wrist injuries are common to skate and snowboarding, while ACL&rsquo;s and knee injuries were more common to skiers. The Dr. utilized x-rays of injuries and models of actual bones and joints to explain the injury and what the doctors do in the surgery to address it. The students were also able to see current and past injuries to their own shoulders and arms as Dr. Murphy used an imaging unit to display and discuss each student&rsquo;s injury. The tour continued at the Jeld Wen Field Clinic led by therapist Emily Olen. 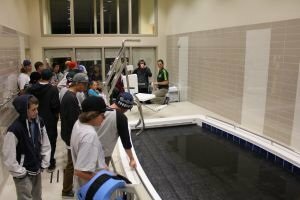 Among the more popular attractions to the students was the resistance therapy pool and of course Jeld Wen field itself. The tour concluded with Academy students watching the Portland Timbers in their 3-0 win over New England. &ldquo;Not every aspiring snowboarder, skier and skateboarder will make it as a professional. We are exposing them to other business/ careers they could explore including sports medicine. This was an eye opening, awesome day,&rdquo; said Windells Academy President Mike Hanley. 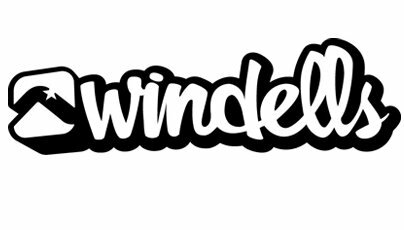 Founded in 1988 by 9-time National Champion and 2-time Vice World Champion snowboarder Tim Windell, Windells has been a world leader in action sports for the past two decades. The camp&rsquo;s goal is to not only improve kids&rsquo; skills on the slopes and on the street, but also create a fun and safe place for kids to creatively express themselves through sports. From building permanent half-pipes, cheese wedge jumps to creating new moves and fighting scoring regulations in competitions, Windells has been a pioneer in action sports. Windells is also the world&rsquo;s only privately owned campus and features a permanent, year round half-pipe and ski runs as well as BMX dirt bike paths, indoor skate park with foam pit and on-site housing and accommodations for campers. For those who have been there, Windells is known as the funnest place on earth. For more information on Windells, check out windells.com.